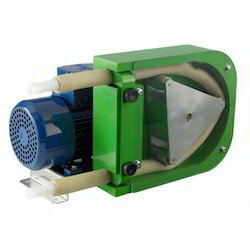 Pioneers in the industry, we offer peristaltic pumps from India. With our rich industry experience, we manufacture, exporter and supply an extensive range of Peristaltic Pumps. Our offered pumps are designed using superior quality components and advanced technology in sync with industry standards. Apart from this, these pumps are available in variegated specifications and designs as per the needs of the customers. Illustrious for their easy installation, optimum performance and rust proof, these pumps are highly demanded in the market.